Creatine can enhance your crossfit workout. If you want to improve your Crossfit workout performance, creatine is the best supplement for the job.No other sports supplement is backed by more peer-reviewed research. Perhaps more importantly, nothing else also has as many positive testimonials from Crossfit and other athletes from around the world including your reviewer,Curt. Among its users are Crossfit Games competitors Rich Groningen, Josh Bridges, and Katie Hogan. 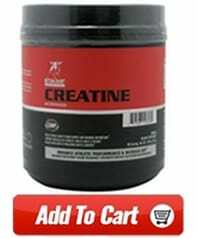 They and others say creatine helps their workouts and performance significantly. After reading this article you will know how creatine can benefit you and your Crossfit workouts, which product is best, and how to take it for optimal benefits. Crossfit And Creatine – Better Together? Since it became popular as a sports supplement in the early ‘90’s, the benefits of creatine continue to grow. Below is a list of all the ways it will help you and your workout performance. All of these claims are supported by scientific research and real-world testimonials. I know this firsthand. I’ve taken it regularly for years and know that it helps me continue to get stronger and fitter to this day. – studies show the amount you can lift in the ‘big’ exercises like squats, deadlifts, and bench presses can increase as much as 45% more than training alone in 8-12 weeks. – many guys gain 5 pounds of muscle and sometimes more after a few weeks of supplementation. Contrary to what some say, this isn’t simply water weight that you’ll quickly lose. Studies show that it’s muscle. Very little is water. One thing about this. Since stored within your muscles not under your skin as some believe it won’t make you look puffy or bloated. It actually makes your muscles look fuller and better, which is nice. – Studies show that supplementing with creatine can help increase your vertical leap and the amount of power you can generate when lifting, jumping, sprinting, and throwing. – many of our Crossfit workouts involved brief and very intense sets of 5-10 reps. Creatine will help your muscles recover faster between each set. This means you will be able to put more effort than normal into the next one. You may actually get stronger as the sets progress. – Imagine being able to take time off your 40-100 yard sprinting time. Taking creatine can make this happen. Results from one study finds that your 100 yard sprinting time can improve by taking creatine monohydrate. – studies show that our bodies tolerate heat better when our muscles are loaded with creatine. 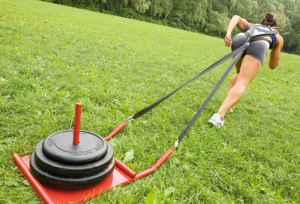 This is great for the times you’re training in a super hot Crossfit box or doing your workout under the hot summer sun. – cramping up mid-set is a surefire way to bring your workout to a grinding halt. Studies show that supplementing with creatine monohydrate can decrease the odds of cramping during a workout. Which Creatine Supplement Is Best For Crossfit? It is tested for purity before and after packaging. It’s only ingredient is creatine monohydrate. Every serving gives you 5 grams of creatine. The creatine you buy should be micronized. It should have at least 100 servings. This is enough for 2-3 months of daily supplementation. Betancourt Nutrition’s Micronized Creatine Monohydrate. Every can of creatine monohydrate Betancourt makes is produced in their own government inspected facility. It’s also inspected for purity before and after it’s put into the container you buy. This ensures there’s nothing but pure creatine monohydrate powder in every scoop. Like it’s name states, this form of creatine used in our favorite product is micronized. This means that it is finely milled into really tiny particles. This helps your creatine dissolve faster and remain that way while you drink. The benefit of this is that you don’t end up with any stuck to the bottom of your glass. This is the problem you get with regular creatine powder. Every serving of Betancourt creatine is 5 grams which makes getting your daily dose convenient. Even if you’re doing a loading phase and taking 20 grams a day it can be done with 2-4 servings. Once your done with this phase, you only have to take it once a day. Last but not least, Betancourt micronized creatine is a great value. Every contain contains 105 servings. This is enough creatine to last you at more than 3 months. At $.14 dose, you can’t find a more effective supplement at a better price! Click here to buy from our store. Creatine can enhance your workout! The best way to take creatine for Crossfit is to follow the recommendation that is proven to work in hundreds of studies and with thousands if not million of athletes in the real. This involves two simple steps. The first is called loading phase. This is when you will take enough creatine to fill your muscles up. The second step is referred to as maintenance. Here you take just enough to keep your muscles filled up and benefitting from creatine monohydrate. Below are the doses and schedules that proven to work best for each have stage. Loading Phase – take 4-5, 5 gram scoops a day (20 grams total) for 5-7 days. Maintenance Phase – take 5 grams (1 scoop) a day to continue experiencing its benefits. Basically speaking, it helps by filling your muscles with more fuel that can be used an instant source of energy. This is how it helps you recover faster between sets, jump higher, sprint faster and lift heavier weights. It also helps to create an optimal environment for growth within your muscles. This is how you can gain 5 pounds of muscle in just a week. Does Creatine Works For Men And Women? While it’s more popular with us guys, there’s no reason for you ladies to not take creatine. It will help you experience all of the above benefits too. Ladies don’t worry about it making you look ‘muscle-bound’, ‘bulky’, or ‘bloated’. I promise that creatine alone won’t do that to you. What causes the aforementioned looks is too much sugar, flour, and processed carbohydrates. Same for us guys! Research shows the only benefit guys tend to realize before girls is weight and muscle gain. This may be a good thing, depending on your personal goals. Is Creatine For Crossfit Safe? While I’m not aware of studies comparing the two activities safety, there is plenty of research on creatine. To date, there isn’t any data that shows negative side effects from healthy men and women taking creatine monohydrate powder. Thus includes research on blood pressure, cholesterol levels, kidney and liver function, and sports injuries. Creatine Monohydrate supplements actually benefit our health in many ways. Thus includes the health of our brain, bones, and heart. I’ll cover all the details in an article soon. As with any other nutritional supplement, you should always talk to your doctor before taking creatine monohydrate. 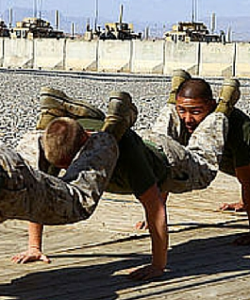 Now you know how creatine can radically upgrade your Crossfit performance. Whether you want to lift more, jump higher, sprint faster, or build more muscle to look better need, it will help you go for it and get it done! Becque MD, Lochmann JD, Melrose DR. Effects of oral creatine supplementation on muscular strength and body composition. Buford T, Kraemer R, Stout J, Greenwood M, Campbell B, Spanish M, Ziegenfuss T, Lopez H, Landis and Antonio J. International Society of Sports Nutrition position stand: creatine supplementation and exercise. Journal of the International Society of Sports Nutrition2007. 4:6. Dalbo VJ, Roberts MD, Stout JR, Kerksick CM. Putting to rest the myth of creatine supplementation leading to muscle cramps and dehydration. Br J Sports Med. 2008 Jul;42(7):567-73. Eckerson JM, Stout JR, Moore GA, Stone NJ, Nishimura K, Tamura K. Effect of two and five days of creatine loading on anaerobic working capacity in women. J Strength Cond Res. 2004 Feb;18(1):168-73. Greenwood M, Kreider RB, Melton C, Rasmussen C, Lancaster S, Cantler E, Milnor P, Almada A. Creatine supplementation during college football training does not increase the incidence of cramping or injury. Mol Cell Biochem. 2003 Feb;244(1-2):83-8. Kambis KW, Pizzedaz SK. Short-term creatine supplementation improves maximum quadriceps contraction in women. Int J Sport Nutr Exerc Metab. 2003 Mar;13(1):87-96. Preen D, Dawson B, Goodman C, Lawrence S, Beilby J, Ching S. Effect of creatine loading on long-term sprint exercise performance and metabolism. Med Sci Sports Exerc. 2001 May;33(5):814-21. Rawson ES, Volek JS. Effects of creatine supplementation and resistance training on muscle strength and weightlifting performance. J Strength Cond Res. 2003 Nov;17(4):822-31. Volek JS, Mazzetti SA, Farquhar WB, Barnes BR, Gómez AL, Kraemer WJ. Physiological responses to short-term exercise in the heat after creatine loading. Med Sci Sports Exerc. 2001 Jul;33(7):1101-8. Yoshizumi WM1, Tsourounis C. Effects of creatine supplementation on renal function. Creatine Loading – Is It Really Necessary? Why Doesn’t Creatine Work For Me?